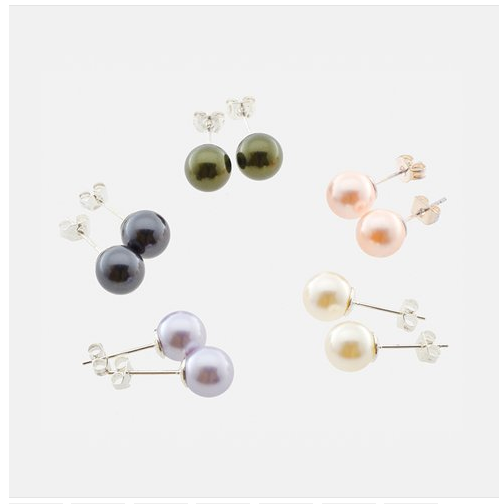 Swarovski Elements Pearl Studs Only $6.99 + FREE Shipping! You are here: Home / Great Deals / Swarovski Elements Pearl Studs Only $6.99 + FREE Shipping! These earrings would make a great additional to you or your teens jewelry collection! Right now, you can grab a pair of these gorgeous Swarovski Elements Pearl Studs for Only $6.99 + FREE Shipping! These black, white, lavender, and peach-colored pearls made with Swarovski Elements are set upon a polished 14k white gold post backing with push back closure. People will be dying to know where you got them!